We are hosting our Economics for Leaders program at Emory University this July and it is open to BOTH teachers and students! Emory is a university steeped in tradition and history. It was founded in 1836 in Oxford, Georgia. Emory alumni span nearly every profession – from members of Congress, to Prime Ministers, Olympic medalists, Pulitzer prize winners and Emmy award recipients. 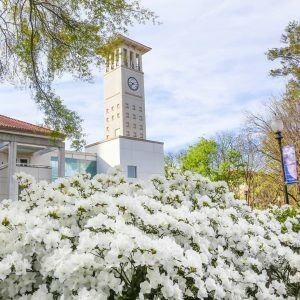 Students and teachers will stay on Emory’s main campus which was ranked one of the top 10 “most amazing college campuses.” The campus is located in the beautiful Druid Hills neighborhood of Atlanta and only a 15 minute drive from downtown. 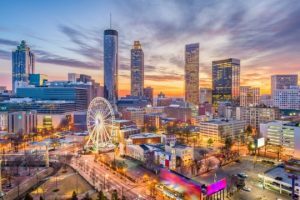 There is plenty to do in downtown Atlanta! Home to many great restaurants, and parks as well as the World of Coca-Cola and the Georgia Aquarium. Teachers looking to register can visit our Economics for Leaders page. Students looking to apply can find out more on our Sites & Dates page.